Each morning you send your child off to school to learn about the world and to grow as a person. As you give them a hug and watch them hop on the school bus, do you worry about bullying? 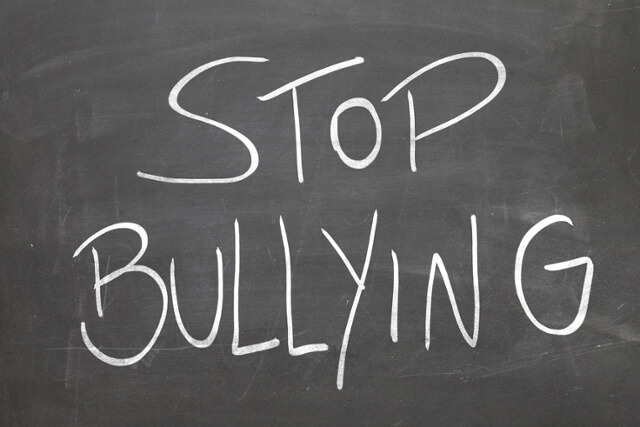 Is your son or daughter a bullying victim? Is he or she a bully? Bus drivers are not disciplinarians. Their job is to focus on the road, traffic lights, laws, and other motorists. Unlike school playgrounds and classrooms, there is generally no one to monitor student behavior or prevent bullying on school buses. Even when there is an additional school bus monitor on-board, he or she is often unable to see what is going on in the back of the bus. In addition, children often fear being ridiculed as “tattle-tales”and thus may not report incidents of school bus bullying to bus monitors. Communicate with your child - It is important as a parent that you maintain open lines of communication with your child. Talk to your child about his or her day and look for the warning signs of bullying, which include depression, unexplainable injuries, damaged personal property, lack of appetite, and declining grades. Stress nonviolent ways of dealing with bullies - When teaching your son or daughter about how to prevent bullying on the bus, explain the importance of nonviolent behavior. Explain to your child that he or she should sit in a different seat or ignore the bully rather than resort to violence. Strength in numbers - Another tactic to prevent bullying is to encourage your child to sit with his or her friends or other students. A bully is less likely to pick on a child when he or she is in a larger group. In some cases, this may be because there is strength in numbers, but the bully may also stop for fear of being ostracized by classmates. Tell your child to avoid the back of the bus - For kids, the back of the school bus is the hot spot. However, it is also furthest from the eyes of the bus driver or bus monitor. Tell your child to sit as close as possible to the bus driver. Bullies like to harass children who are out of the supervision of adults. Request a bus monitor - If the school bus that your child rides does not have a bus monitor, contact the school and request that one be present when your child is picked up and dropped off. This individual sits behind the bus driver and has the sole responsibility of observing, preventing and reporting bullying and bad behavior. To further ensure your child has a safe journey to school, tell him or her to sit next to the bus monitor. As a parent, you do your best to teach your son or daughter about right and wrong, to be considerate of other people and to be kind to others. Yet despite your best parenting efforts to prevent bullying, your child may develop bad behavior as a result of school pressure, family problems or other bullies. Your child is agitated or combative at home – If your child suddenly starts acting out, is easily frustrated, quarrelsome with siblings or has a short temper, he or she may be a bully. Remember if he or she is displaying such behavior in front of you, they may be harassing other children. Trouble at school – Is your son or daughter called into the principal’s office frequently? Does he or she often stay after school for detention? Has the school bus driver or bus monitor contacted you about your child’s behavior? Slipping grades can also indicate a disciplinary problem. Your child has new property – Does your child suddenly have a new iPad or other toy that you did not purchase for him or her? If so, your son or daughter may be a school bus bully. Depression – Bullies become bullies for a reason and in many cases it stems from depression, insecurity or other bullies. If your child seems distant or depressed, talk to him or her about their feelings and try to get to the root of the issue.